The Le Sigh: Premiere: Julian - "Drawn 2"
Premiere: Julian - "Drawn 2"
Listen to the lovely new track from D.C.'s Julian. "Drawn 2," the two-minute track by Washington, D.C. project Julian, mirrors the feeling of magnetic connections between two people. Songwriter Julia Leiby has put out only two short EPs under this moniker, but it might be safe to say that this is their most full and polished recording to date. “Drawn 2” was recorded, mixed, and mastered in Northeast D.C. with Thomas Rossi. Leiby's resonant words are indicative of their songwriting style, and carry the listener through the various swells of the song. The track starts out hypnotic and dreamy, and is led by Leiby's strumming and hauntingly lovely vocal melodies. After they sing, “Hide from the light / Keep it between us,” the song snowballs into a full band jam, with Comet Ping Pong coworker Cash Langdon of the bands Palette and Catholic Easter Colors joining on second guitar, drums, and bass in the recording. It then drops back into the softness of the opening line “I’m drawn to you, ooo” to finish off on a sweeter note. 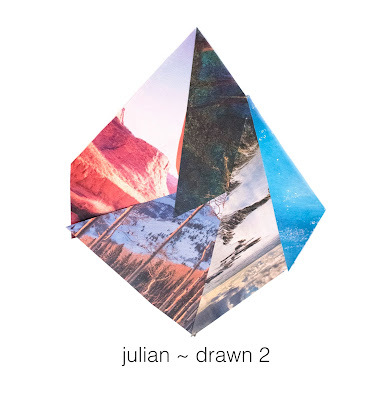 The juxtaposed power and fragility of “Drawn 2” leaves a lot to look forward to for upcoming Julian releases. Listen to Julian on bandcamp.